Oh, how fortunate to get them both together! 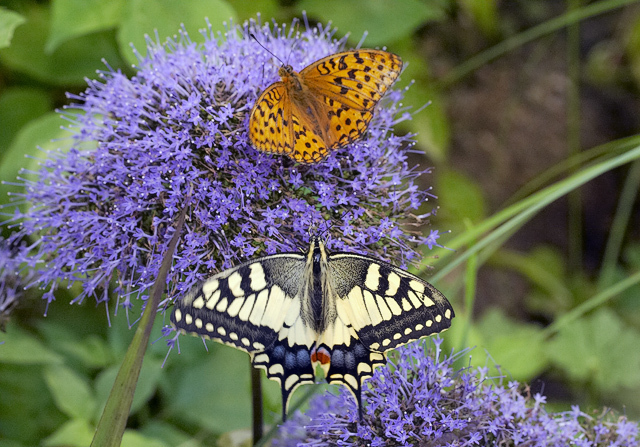 This is lovely - Fritillary and Swallowtail on same flowerhead! NIce shot. Beautiful butterflies and flowers. Vote. Nice capture. The colors are beautiful.